AMS Vans is one of several wheelchair van conversion manufacturers building safe, reliable, simple and low-maintenance accessible vehicles. Specializing in handicap van modifications, either rear- or side-ramp accessibility can be manufactured Dodge, Toyota and Chrysler minivans. A full-size wheelchair van with lift conversions available on the Ford Transit and Mercedes-Benz Sprinter, rear- and side-entry access. Check out our videos for more details on each conversion. If your vehicle meets the requirements, our highly experienced custom accessibility teams can have a conversion completed in about 3-4 weeks. Check out the different types of accessible vans we offer below. Each newly-adapted minivan can be delivered back to you anywhere in the contiguous United States and comes with our great conversion warranty which can be serviced nationwide. Financing is also available for these types of specialized vehicles. 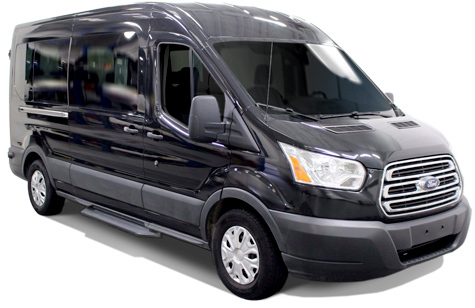 The Transit is an ADA compliant van with a large floor space, allowing for an extraordinary amount of versatility. AMS Vans can design multiple configurations to fit your needs, whether you’re transporting wheelchair passengers, ambulatory passengers, a gurney for NEMT use, or a varied combination of any or all of the above! The powerful Ricon lift can be installed at the side or rear. Conversion price starting at $10,980. The AMS Vans Ford Transit with side- or rear-entry wheelchair van conversion comes equipped with a Ricon Lift and can easily handle up to two wheelchairs while still retaining seating for 5 passengers. Suitable for families with taller wheelchair passengers or NEMT Transportation Services. 15 Configurations or customize your layout. New conversions come with a 3-year or 36,000 mile conversion warranty serviced nationwide. Conversion lift comes with a 5-year warranty. The Toyota Legend offers the TALLEST door height entrance in the industry at 56.5 inches and features a side-entry design with in-floor ramp, while the Exodus features a rear-entry design with bi-fold ramp. 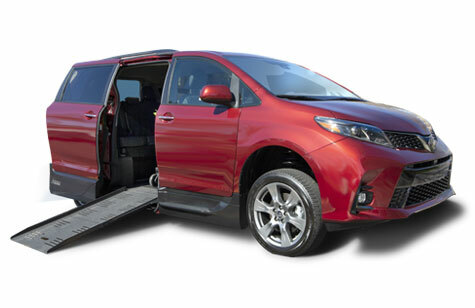 Both vehicles are the most affordable, functional and surest handling Toyota Sienna wheelchair accessible vans in the mobility marketplace today. These modified minivans come standard with an array of features unparalleled in the mobility industry — with the entire floor system built and assembled in the USA. ADA compliant 56 ½ door opening and 30 inches wide in-floor ramp system. 3-year or 36,000 mile conversion warranty serviced nationwide. 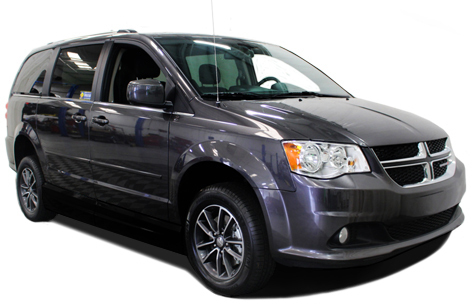 The wheelchair accessible Dodge & Chrysler conversion is a bestseller here in our showroom. A factory original can be fitted with your choice of three classic lowered floor conversion models, the most popular of which is our AMS Vans Legend II side-entry ramp conversion priced at $19,995. The Edge I or Edge II rear-entry conversion models are priced at only $11,995 and $13,995 respectively. As you can see we have some of the best prices in the mobility industry. 600 - 800 lb ramp weight capacity for both the side and rear entry conversions. All three conversions come with 3-year or 36,000 mile conversion warranty serviced nationwide. Simply reliable as AMS Vans applied the 80/20 rule by removing 20% of the items that create 80% of the service issues. Risk-free front door delivery to the comfort of your home or office. The Honda Odyssey drives more like a sedan than a van. 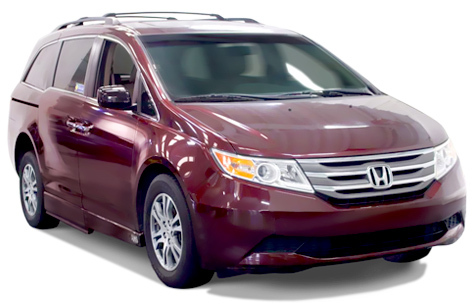 These vans are sold with side- or rear-entry conversions giving you complete accessibility and safety in a style-rich package, and it’s the most affordable Honda mobility van in the industry. Risk-Free delivery in the continental US, nationwide service and financing. 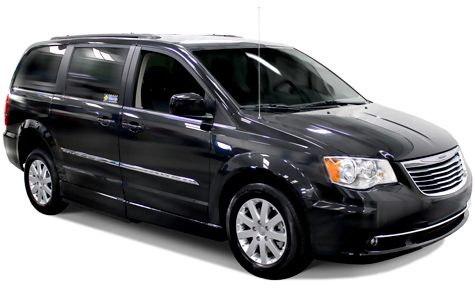 Chrysler Town & Country wheelchair van is available with three types of accessible conversion options. The AMS Vans Legend II side-entry ramp, the Edge short-channel and Edge II long-channel rear-entry ramp. Chrysler Motors offers one of the most luxurious minivans in the marketplace and is consistently one of our best selling new and used handicap vans because it’s the ideal blend of features, price and quality. 600 - 800 lb ramp weight capacity for all three conversion options. Crash tested and meets the National Highway Transportation Safety Administration guidelines. Best priced full-cut side-entry ramp conversion in the mobility industry at $18,980. The wheelchair accessible Mercedes-Benz Sprinter from AMS Vans offers an upscale look for a full-size mobility vehicle. Conversion price starting at $10,980. 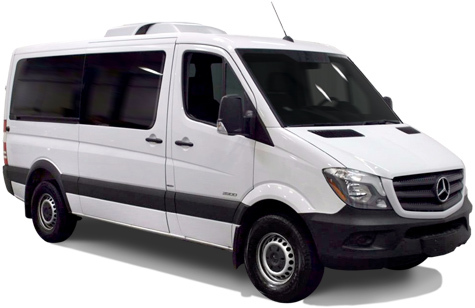 The Sprinter conversion is a full-size van with side- or rear-entry wheelchair van conversion comes equipped with a Ricon Lift and can easily handle up to two wheelchairs while still retaining seating for 5 passengers. Suitable for families with taller wheelchair passengers or NEMT Transportation Services.